Fired and Unfired Earth was commissioned by the Crafts Council London and became part of 'Making Buildings' travelling exhibition. The work was exhibited at the New Art Gallery Walsall, Middlesborough, Turnpike Manchester, Aberystwyth and the Crafts Council gallery London. 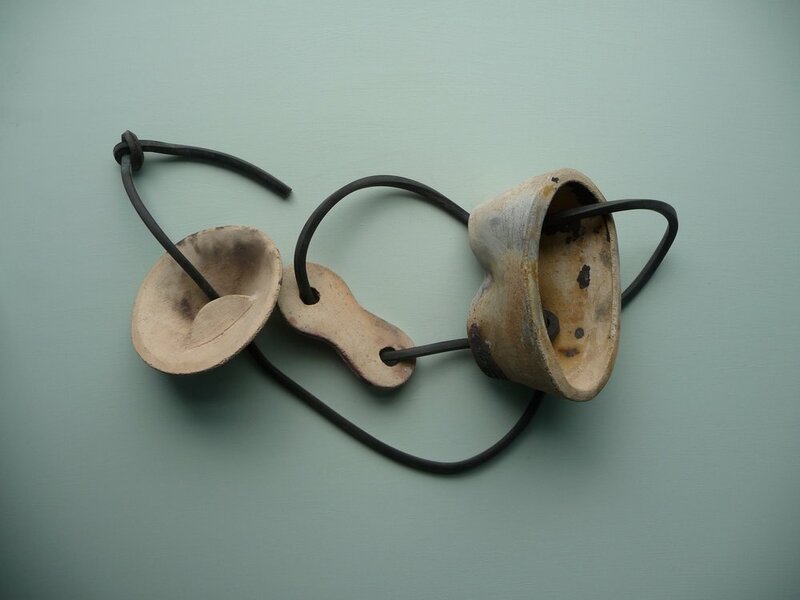 Tony has used both earth mixed with straw and fired Raku clay. Sometimes he has combined the two materials. Many of these pieces were stimulated by travelling, workshops and documenting the earth buildings of New Mexico, Africa and France. These sculptures combine elements of architecture, gardens and landscape. Earth, clay, straw, willow and beech. Tony produced work to be fired in the huge hand built Japanese kiln for the St Ives International Ceramica Festival of Clay. Yasuo Terada, Sebastian Blackie and Jason Wason constructed the Japanese kiln, with help from others at the festival. Sebastian Blackie and Jason Wason constucted this kiln from newspaper quills. A few examples of the work from the firing.